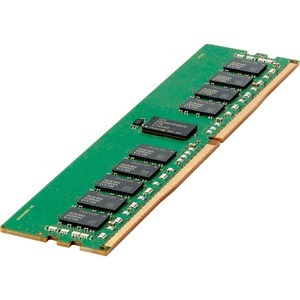 HPE DDR4 SmartMemory delivers great performance, reliability, and efficiency .Our large selection of server memory solutions provides the compatibility, capacity and bandwidth you need to productively manage your expanding workload with HPE ProLiant Gen9 and Gen10 servers,Apollo Family servers,Synergy systems, and Blade systems. As workloads grow and data center trends such as server virtualization, cloud computing, and the use of large database applications increase the need for higher capacity memory with greater uptime,the quality and reliability of DRAM become ever more important HPE SmartMemory goes through additional rigorous qualification and testing processes that unlock extended memory performance features available only with HPE Gen9 and Gen10 servers. This extensive testing ensures that HPE server memory is completely compatible with and optimized for HPE servers.